The Royal Navy stands at a crossroads as work for the 2015 Strategic Defence and Security Review (SDSR) gets underway in the United Kingdom. It has the framework in place to provide significant flexibility to a government seeking options for action across the spectrum of conflict. But important decisions need to be made, including a commitment to some increases, albeit relatively modest, in funding. The first and most urgent deficiencies to be remedied are in personnel. At 23,000 in naval uniform (7,000 Royal Marines are usually included in the ‘naval service’ total of 30,000, even though they can do little for the manning of the seagoing force), the Royal Navy is too small. David Cameron’s declaration that both of the new Queen Elizabeth carriers will be placed in commission has added an extra urgency to the need for at least 3,000 more personnel. Furthermore, there are key shortages in various categories—including nuclear technicians, engineers and weapon and sensor operators—which have made it difficult to keep the existing fleet running. These need to be urgently addressed if the navy’s not to be caught with ships it can’t operate—a problem that would be particularly embarrassing if it were to extend to either of the new carriers. The navy is also arguably over-committed operationally, which worsens the problem of people, particularly their retention. This is a long-standing problem as successive governments, even as they have reduced the number of ships in commission, have been loath to make concomitant reductions in operational deployments – and the Navy arguably too slow to say no to government ambitions. The RN’s destroyer and frigate force has apparently stabilised at 19. How great a reduction this represents can be demonstrated by the fact that the debate in the mid-1980s was whether an operational strength of 50 such units could be sustained. The multitude of commitments; to the Gulf, the Indian Ocean, NATO and the West Indies to name only some’ suggest that a more appropriate number in 2015 would be in the region of 24. 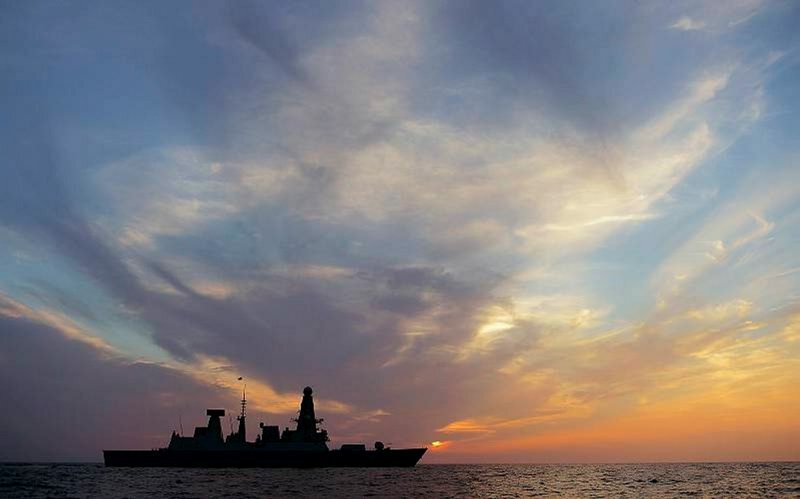 The numbers/capability trade-off problem has been clearly demonstrated in the Type 45 air warfare destroyer project, which started at 12 ships, reduced to 8 and concluded with only 6 hulls in service. It continues with the Type 26 ‘Global Combat Ship’ in which the ability to operate in a high intensity combat environment; with all this requires in the way of sensors and weapons, and the need to have capacity for future growth; weigh against the need to reduce costs and thereby allow for greater numbers. The Royal Navy is hoping for 12 ships, but suspects that it may have the program curtailed once more. It was consciousness of the need to contain costs that meant the prime contractor was forced to review the proposed design concept before the navy and the government would commit to it. There are indications that the RN is moving towards a more flexible approach to hull numbers than it has adopted for the last decade or more. While the importance of high level capabilities continues to be stressed—and has a clear logic in view of the developments in eastern Europe—the order for three additional Offshore Patrol Vessels (OPV), big enough to operate and hanger a helicopter, may show the way ahead. While this order was ostensibly to prevent Britain’s own ‘valley of death’ between the Type 45 and Type 26 projects, it could be continued, with repeat units being ordered to take the OPV strength up to a dozen, or even more. Those ships, which at over 90 metres in length are quite substantial units, could perform many of the maritime security tasks currently allocated to the frigates, while releasing the larger and more capable surface combatants to operate with the carriers and amphibious groups in fully capable task groups. Nevertheless, the priority for the RN has to be resolving its manpower problems and it will require the understanding and the support of the government if it is to achieve this. Indeed, all the British armed forces, and the UK Defence organisation as a whole, require a level of commitment from Westminster which has been notably absent during the last two decades. Britain doesn’t need to return to the relative levels of defence expenditure that prevailed for most of the second half of the twentieth century, but there does need to be a recognition, even in an era of austerity, that more must be done for the country’s defence. James Goldrick is an adjunct professor at UNSW Canberra and has just completed a visiting fellowship at All Souls College, Oxford. Image courtesy of UK Department of Defence.